The Reclaim Justice Network is in the process of developing resources to aid discussion and thinking about the drivers of criminal justice expansion in the UK today. 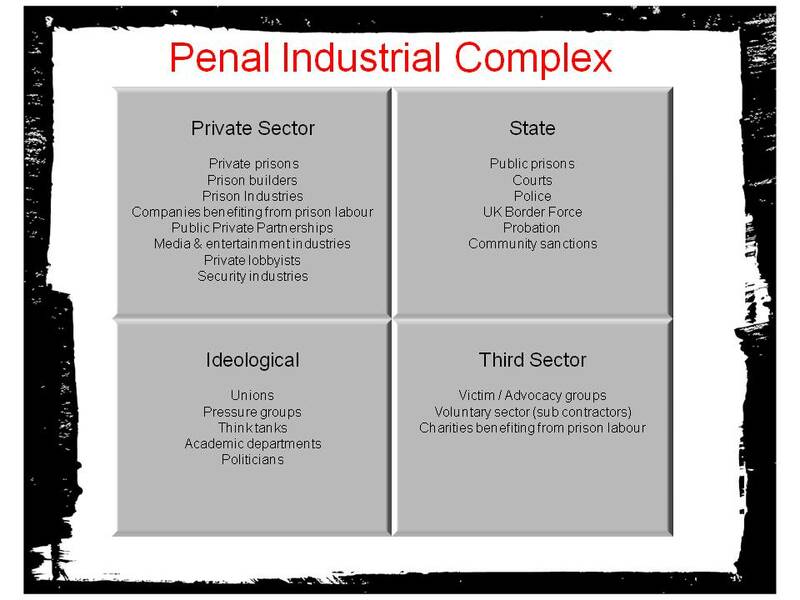 The ‘penal industrial complex’ is one way of framing the conversation about contemporary punishment. Click here for a more detailed outline of the organisations and sectors involved in criminal justice and punishment – all of whom, either wittingly, or unwittingly have a part to play in the maintenance and expansion of criminal justice in the UK. This entry was posted in Immigration detention, No More Prison, Police, Prison Profiteers. Bookmark the permalink.